FOR OVER 20 YEARS, Bath & Body Works created the scents that make you smile. Whether you're shopping for fragrant body care or a 3-wick candle, they have hundreds of quality products perfect for treating yourself or someone else. We paired these Bath & Body Works products with Jarosa's Chocolate Bliss Lip Balm. Jarosa's Bee Organic Lip Balm is a USDA Certified Organic by Oregon Tilth, all natural, & has the USDA Certified Seal to prove it. Great for protecting lips & highly effective as a moisturizer. Use for dry, chapped lips, to moisturize before applying lipstick or as a gloss for over lip stain. Great for sensitive lips. It is simply the best & highest rated lip balm we have ever encountered. Don't wait to let your lips experience the bliss of this ultra moisturizing beautifying lip balm. Enjoy it yourself or use it as that perfect gift for the not-so-easy-to-buy-for friend or relative. Your friends & family will love it too. Plus it's proudly crafted right here in the USA! 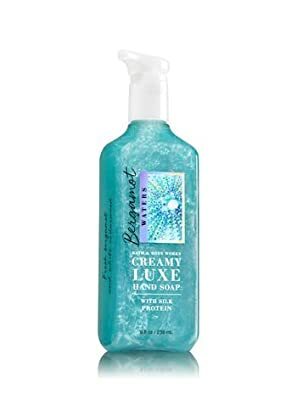 OUR SEAS THE DAY GIFT SET contains Bath & Body Works Creamy Luxe Hand Soap, Our Creamy Luxe Hand Soap is specially formulated with silk proteins to gently wash away dirt and germs while leaving hands feeling soft, smooth & lightly scented. 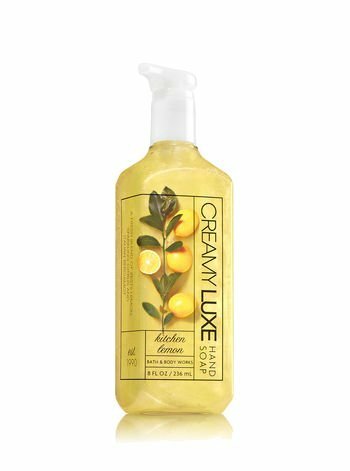 BERGAMOT WATERS CREAMY LUXE HAND SOAP: A woodsy blend of fresh bergamot and white cedarwood. Size: 8 fl.oz/236 mL. 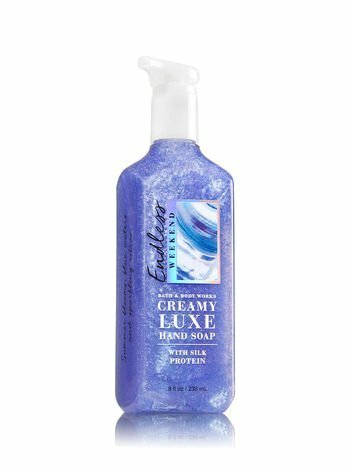 ENDLESS WEEKEND CREAMY LUXE HAND SOAP: A floral blend of summer blooms, blue waters and sparkling citrus. 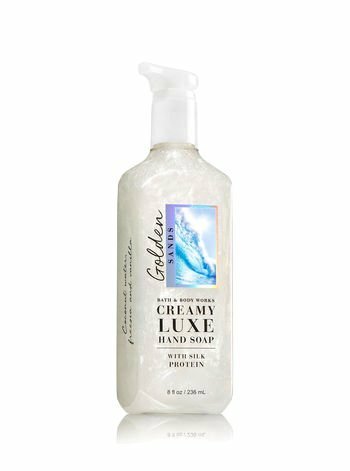 Size: 8 fl.oz/236 mL GOLDEN SANDS CREAMY LUXE HAND SOAP: A comforting blend of coconut water, freesia and vanilla. Size: 8 fl.oz/236 mL FINISH WITH THE WORLD'S BEST LIP BALM, Jarosa's Bee Organic Lip Balm is a USDA Certified Organic by Oregon Tilth, all natural, & has the USDA Certified Seal to prove it for your piece of mind. Great for protecting lips & highly effective as a moisturizer. Use for dry, chapped lips, to moisturize before applying lipstick or as a gloss for over lip stain. Great for sensitive lips. 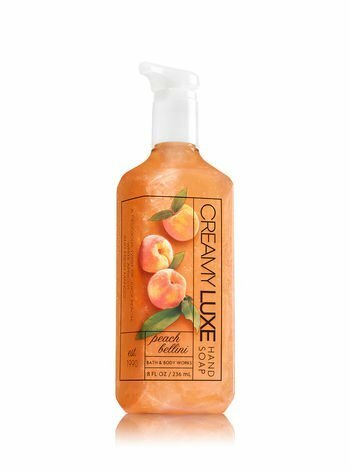 YOU WILL RECEIVE: 1 - 8 fl.oz/236 mL Bergamot Waters Creamy Luxe Hand Soap, 1 - 8 fl.oz/236 mL Endless Weekend Creamy Luxe Hand Soap, 1 - 8 fl.oz/236 mL Golden Sands Creamy Luxe Hand Soap & 1 - Jarosa Bee Organic Chocolate Bliss Lip Balm in your Jarosa Gift Set.